Boko Haram “stormed” the town of Gulak near the Camaroon-Nigerian border, taking more territory and reportedly going door to door shooting the residents. The attack occurred in the Adawana state of Nigeria. Gulak is one of the latest towns attacked by the militant Islamist group, joining towns such as Gwoza, Madagali, and Michika. The three states of Borno, Yobe, and Adamawa are all currently under attack by the insurgency. Should Boko Haram continue their momentum in Borno, they may take the entire state, including the capitol. Boko Haram has been active since 2009. 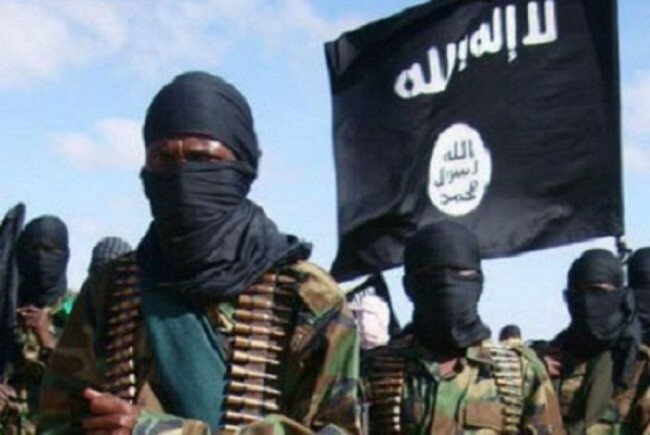 “Boko Haram,” which translates to “Western education is forbidden,” in Arabic, has announced their desire for is a “Muslim state.” Thousands of Nigerians have been killed since the group began taking control from the Nigerian government. 700,000 people have been displaced because of Boko Haram activities, forced from their homes not only within Nigeria but without as well. 200 girls were captured by Boko Haram in Borno and have not been rescued despite military help sent by the United States, France, China, and the U.K.
Boko Haram’s presence and activities extend to both the Cameroon and Chad borders along Nigeria. In total, six cities are now captured by Boko Haram forces while two other towns have been at the very least attacked–their current state is currently contested by the Nigerian government. However, the north-east is slipping out of government control quickly as the militant group fights to create their own state. In addition to the captured territories, Boko Haram also has hideouts in the Mandara and Sambisa Mountains. Because of the spread of Boko Haram in the region, Nigerian President Goodluck Jonathan has fallen under criticism for not properly addressing the group’s spread of insurgent influence for the last five years. He is up for re-election in February. The government called the Nigerian people to stay hopeful. Nigeria “is losing control of large parts of the north-east region,” reported the Nigeria Security Network. The “key goal” for Boko Haram is believed to be the capture of the capitol Maiduguri in Borno. This would result in the essential creation of a Boko Haram State. Gulani, another town now under the militants’ control, is slightly different in its capture. Residents reported that Boko Haram registered their presence in the town. Boko Haram claimed their intention was not toward violence but to preach to the people. Starting in 2009, Boko Haram began its campaign as a propaganda group. They held rallies and preached their beliefs. Eventually, the insurgents turned to violence in the wake of the death of Boko Haram leader, was killed while being held by police in 2009. The group then graduated to killing, bombings, and kidnappings. At last report, the Nigerian Government is currently waging a military campaign to take back Michika in the Mubia area of Adamawa. Hideouts of the insurgents are under bombing attack. Foot soldiers have also been sent in to fight Boko Haram on the ground. Until further notice, a curfew has been placed on the town that extends from sundown to sunrise. Over the weekend, 50 insurgents were killed by Nigerian soldiers. The deaths occurred in Kuwari, where soldiers raided their hideout located in the small town. As Boko Haram takes territories, more of north-east Nigeria becomes a place of fear, humanitarian crises, and political chaos. The safety of not only Nigeria but their neighbors continues to be put at risk. However, Nigerian forces continue to fight the insurgents on the ground and in the air.